On our Napa & Sonoma Wine Tour you’ll visit three separate wineries and enjoy a full day in wine country with all tasting fees included. It doesn’t matter if you’re a first timer or a sommelier, everyone will find something to enjoy on our Wine Country day tour from San Francisco. 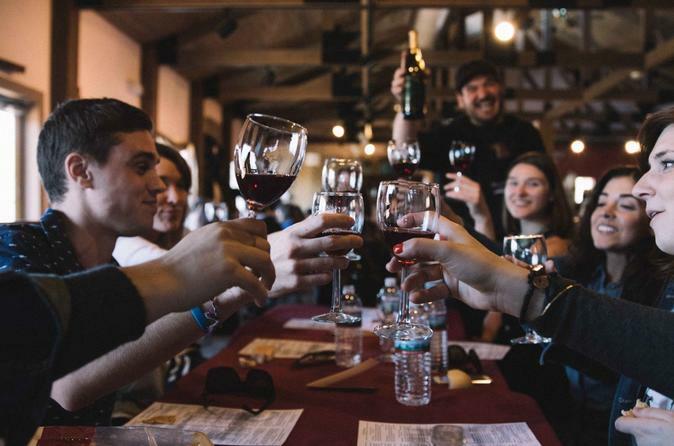 Enjoy three separate wine tastings at three of our favorite wineries in Sonoma Valley; with a stop along the way in either historic Sonoma Square. We know it’s hard to find an excuse not to join us. So come along! Don’t let the good weather pass you by, and hop on a trip for a day of fine wine and good people. *Please note: Hotel Pickup can be arranged depending on location by calling this number (415) 636-9910.